Oyster has a great post about how fricking weird Bobby’s right hand boy man is. Timmy was home schooled and describes in tedious detail how he and his wife didn’t “date” but courted under her righteous Christian father’s supervision. It’s so wholesome that I reached for the barf bag y’all. Do we want to be governed by people who enter into covenant marriages and even worse drink milk? Ack ick phfppt. Jeez now I’m channeling Bill the Cat which is kind of appropriate as that Gambit puff piece about Jindal made me cough up a hairball. Ack. Back to Master Teepell when I hear the name Timmy I think of one person: Lassie’s sidekick on the old teevee show. Do we really want to be governed by people who remind us of teevee shows from the late Fifties and early Sixties? Do we want our next Governor to give his inagural address on TV Land? Hell no I say give me a guy named T-Bob who smells like beer and boudin instead of someone who smells like a doggie drag queen. 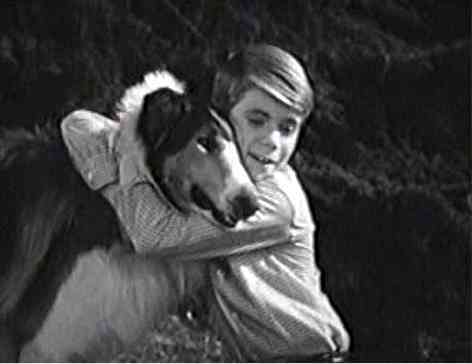 That’s right folks Lassie was always played by a dog with a full package if you catch my drift.